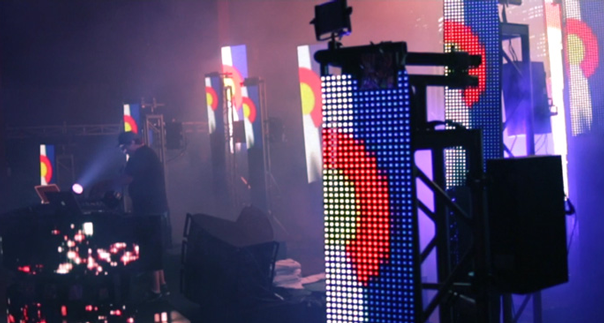 Our video recap of the back-to-back sold out Pretty Lights shows at the legendary Red Rocks Amphitheater in Morrison, CO in August 2012, debuting of “The City” stage designed by, and displaying content exclusively created by, RadioEditAV. Derek debuted a handful of new PL tracks including “So Bright” which is featured on the edit. Big thanks to Spreadhouse from NYC for the assist on the footage. Filming in picturesque Red Rocks Amphitheater is always a pleasure and what a way to open a tour run for Pretty Lights’ brand new stage. 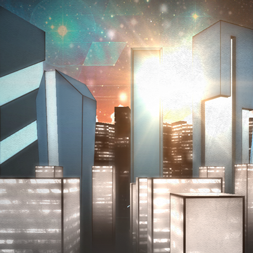 Derek asked us to design a stage for him that would emulate the kind of city scene that inspires his music. We started off with the stereotypical back-of-the-napkin drawing sketching up a cityscape to surround him. From there the project went through several iterations to give the stage the drama that fans have come to expect from a Pretty Lights performance. Several mockups in 3D programs, dozens of conversations with the builders, and huge orders of LED panels later and “The City” was ready to raise between the rocks. But our job had only just begun. 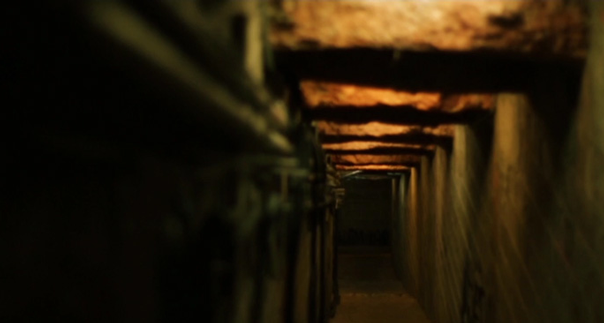 Designing, filming, and animating all the content for the screens and the pillars was a mammoth task in itself. We flexed our creative muscles and cranked out hundreds of clips to add to Derek’s content library. 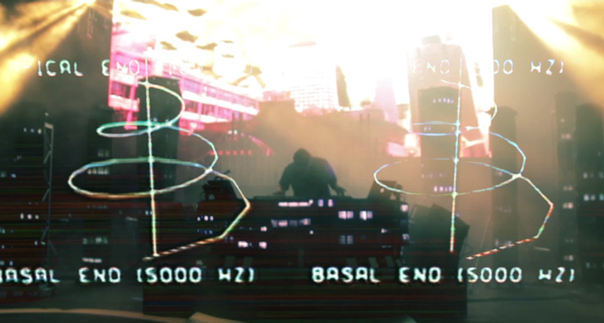 From the heavily effected film work to 3D fly-throughs of cityscape, and subtle timelapse effects on the buildings which populated “The City”, it all made for spectacular visual accompaniment to the always on-point beats blasting through the speaker stacks. With all the new content loaded into the system and ready to rock it was time to fly out to Colorado and document our creation’s debut. 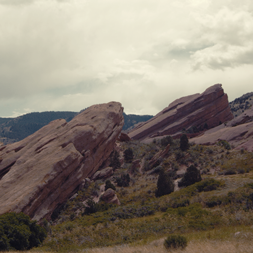 Rolling into Red Rocks with the deepest film crew we had worked with to date, we set out to capture the energy and vibrance of Pretty Lights’ hometown fans and they did not disappoint. Everyone in the sellout crowd was primed and ready as Derek took the stage and soon he had them whipped into a frenzy with surprise guests and a bevy of unreleased tracks. Our filmers weaved their steadycams throughout the crowd, manned the jib for sweeping shots, and crawled over the stage all to match the intensity of the fans. Thanks go out to Pretty Lights’ whole crew, the big guy in charge of the whole thing, and all the fans.